What is the training about? How do I attend? Who are the instructors and presenters? Where is it being held? The goal of this five-day training is to help attendees gain the skills they need to use the multiphase optimization strategy (MOST) to optimize behavioral and biobehavioral interventions. Time will be spent in lecture, discussion, and individual and group exercises. The team of instructors and presenters includes both methodologists and intervention scientists. There will be several presentations by investigators who have obtained funding for and conducted optimization trials and a panel discussion featuring these scientists. New features of the 2019 training include a self-guided data analysis practicum, dedicated time for networking, and opportunities for individual consultation. This training is designed for those at any career level who have a terminal degree and who are planning to pursue, or have pursued, funding to conduct research involving MOST. One year of graduate-level statistics, including training through multiple regression, is a prerequisite. Some training in the randomized controlled trial (RCT) and experience with development of behavioral or biobehavioral interventions are also needed. The training will start at 9:00 a.m. on Monday, May 13, 2019, and adjourn at 1:00 p.m. on Friday, May 17, 2019. The application period was from December 1, 2018 to 11:59 p.m. Eastern Time, January 15, 2019. Enrollment is limited so that we can maintain an informal atmosphere and encourage interaction. Priority will be given to individuals who have the appropriate background and who are likely to apply skills gained in the training to their own work. To apply to attend the training, please complete the application and hold the dates of training on your calendar while you await notification of whether you have been admitted. Applications must be submitted by January 15, 2019 through the online system. You will receive an automatic confirmation of your submission. Applicants will be notified about decisions by February 15, 2019. Once accepted, participants will be emailed instructions about how to register. Please contact Kate Guastaferro (kmg55@psu.edu) for more information. Review our refund, access, and cancellation policies. Collins & Kugler, eds. (2018) Optimization of Behavioral, Biobehavioral, and Biomedical Interventions: Advanced Topics. A block of rooms will be set aside for attendees at the Hyatt Regency Bethesda. The hotel is steps from the Bethesda stop on the Metro red line. Bethesda, MD is in the Washington, DC area. It is served by Washington Dulles Airport and Reagan National Airport. It is also possible to fly into the Baltimore airport. Instructors will deliver the primary portion of the curriculum. Presenters are intervention scientists who will share their experience with applications of the methods covered in the curriculum. Dr. Collins is the primary developer of the multiphase optimization strategy (MOST), a comprehensive, principled, engineering-inspired framework for developing, optimizing, and evaluating multicomponent behavioral, biobehavioral and biomedical interventions. She collaborates with intervention scientists to develop optimized interventions in a broad range of fields including tobacco cessation, HIV-treatment services, and prevention of sexually transmitted infections. Dr. Guastaferro researches the development, optimization, evaluation, and dissemination of behavioral interventions using MOST. Substantively her expertise is in the prevention of child maltreatment, though she works on MOST in a number of public health areas including HIV/AIDS-medication adherence and the prevention of risky behaviors among college students. Dr. Pfammatter is a licensed clinical health psychologist and assistant professor of preventive medicine at Northwestern University Feinberg School of Medicine. Her research program leverages technology and optimization research strategies to develop and evaluate behavior change programs to prevent cardiovascular disease. As such, she values strong transdisciplinary collaborative work that has the potential to lead to new insights in the areas of improving behavioral intervention efficiency, patient engagement in behavioral health strategies, and managing and coping with chronic illnesses. She is an active member of the Society of Behavioral Medicine and serves on the board of the Optimization of Behavioral and Biobehavioral Interventions Special Interest Group. Dr. Wasser is assistant professor and behavioral nutrition interventionist in the University of North Carolina nutrition department. Her work focuses on the development of interventions to promote optimal infant feeding practices, dietary intake, growth, and child development. She is particularly interested in the bidirectional influences between infant behavior and the feeding practices of mothers and other caregivers. 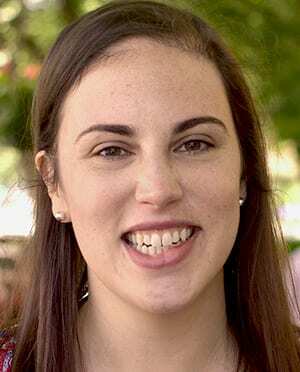 Her research seeks to advance the field of behavioral interventions during the first 1,000 days through the application of complex theories of social support and novel design methodologies. 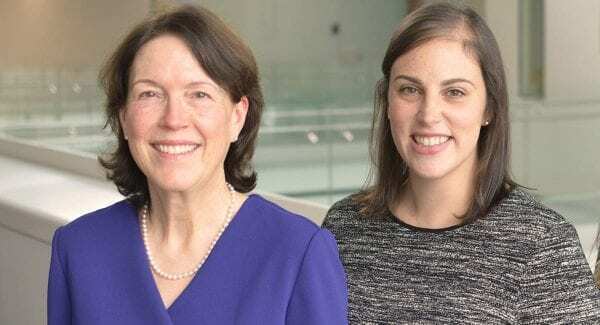 Currently, she is Principal Investigator for a NIH/NIDDK-sponsored Mentored Career Development (K01) Award that utilizes MOST to design and test a digital health intervention which targets mothers and co-parents to promote healthy complementary and responsive feeding during late infancy. Dr. Gwadz is the Associate Dean for Research and Professor of Social Work at the NYU Silver School of Social Work, and a licensed clinical psychologist. She serves as an Associate Director in the Transdisciplinary Research Methods Core in the NIDA-funded Center for Drug Use and HIV Research, in which she has played a leadership role since 2005. The main focus of her research is the development and evaluation of potent, innovative, multi-level culturally salient interventions to address racial/ethnic, socioeconomic, and gender inequalities in health, with an emphasis on HIV and substance use. 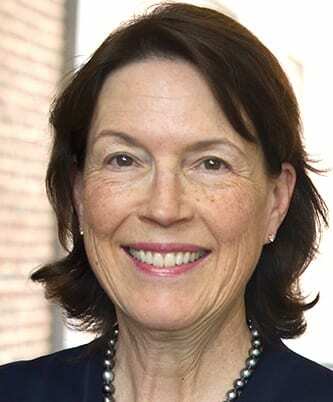 Dr. Wyrick is the Founding Director of the Institute to Promote Athlete Health & Wellness (IPAHW), Associate Professor of Public Health Education and Faculty Athletics Representative at UNC Greensboro (UNCG). As a prevention scientist, Dr. Wyrick has extensive experience in innovative research methods, program evaluation, and engineering and disseminating behavioral interventions. He recently completed a study that implemented MOST to optimize myPlaybook, an alcohol and other drug prevention program for collegiate student-athletes. myPlaybook has been adopted by both the National Collegiate Athletic Association (NCAA) and the National Association of Intercollegiate Athletics (NAIA). He is currently collaborating with Dr. Collins on another MOST project to optimize itMatters, an online intervention to reduce sexually transmitted diseases on college campuses. This meeting is made possible by funding from the Office of Behavioral and Social Science Research (OBSSR) via a supplement to P50 DA039838 from the National Institute on Drug Abuse (NIDA) and the William T. Grant Foundation. The views expressed in written conference materials or publications and by speakers and moderators do not necessarily reflect the official policies of the Department of Health and Human Services; nor does mention of trade names, commercial practices, or organizations imply endorsement by the U.S. Government.